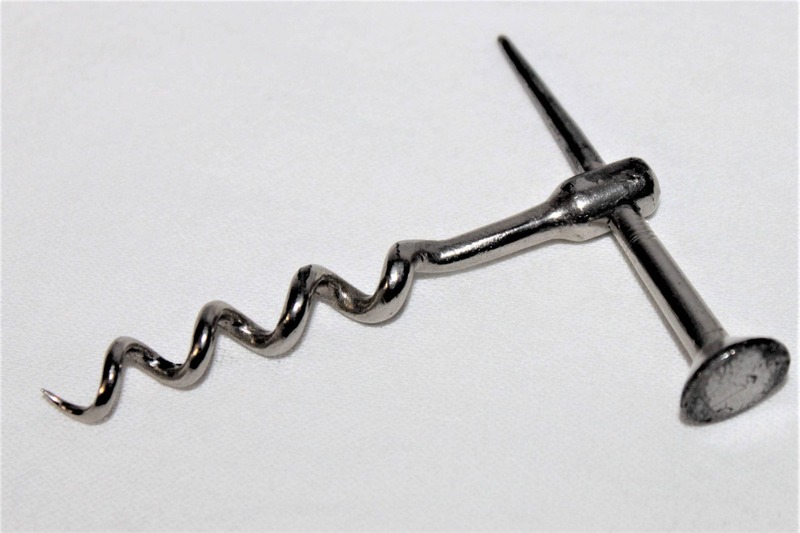 We have for sale an Antique Peg & Worm Left Handed Corkscrew with Tobacco Pipe Tamper. Wonderful piece of history. 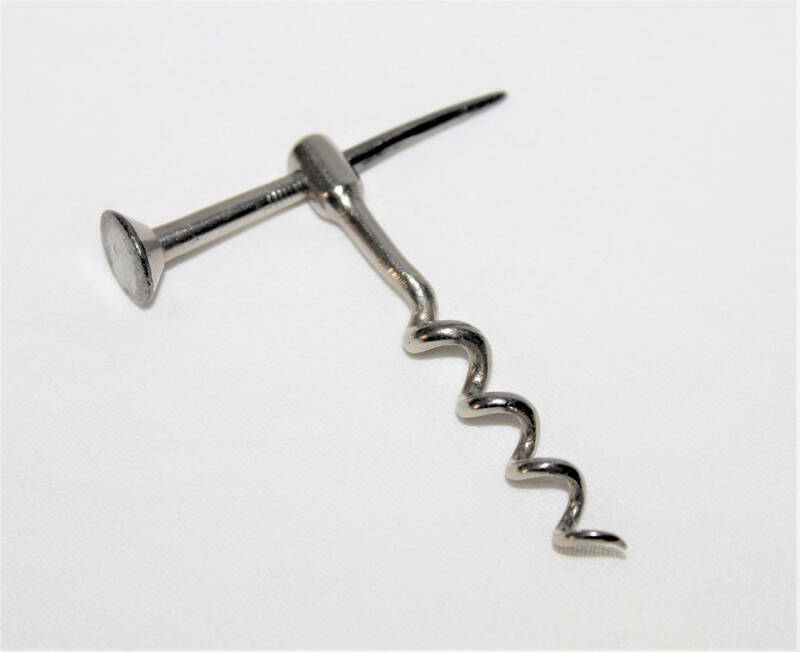 This is called a Peg and Worm corkscrew. 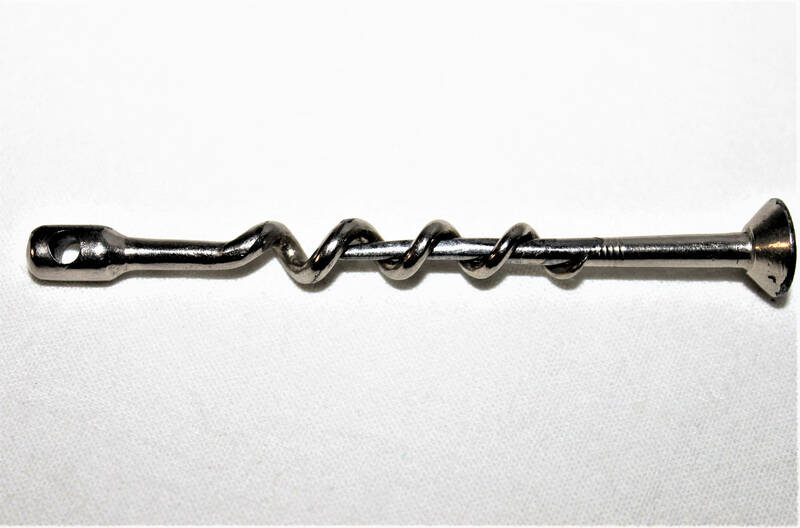 Originally found in travel sets and dressing case sets. 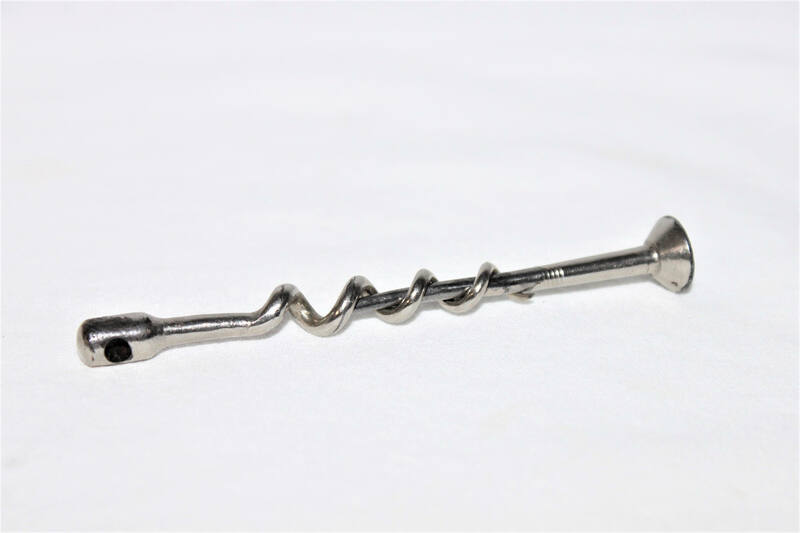 Made of Nickel plated steel and has an unusual treat it is left handed (turns to the left) the flat end is a tobacco pipe tamper. 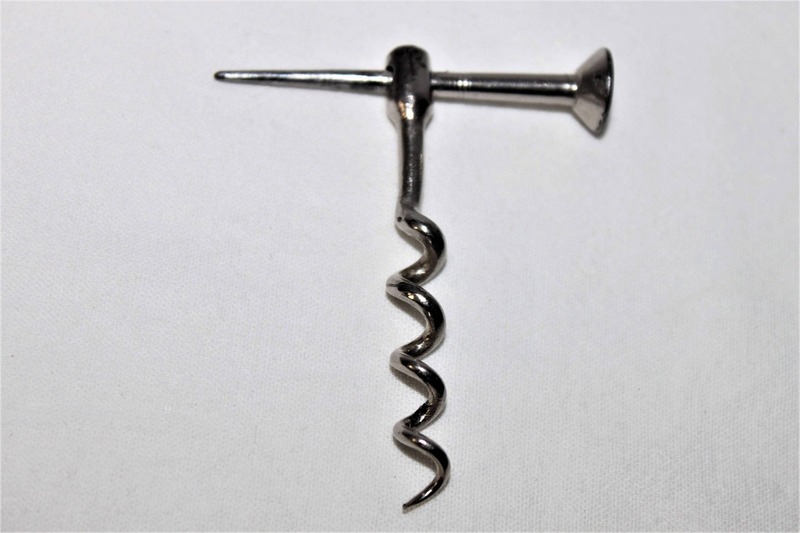 The corkscrew is a two piece fixture, the handle slides into the helix of the corkscrew for storage and when in use the handle screws into the top of the corkscrew to securely hold in place. Condition; Very good with some light plating lose. Displayed at the Winterthur Museum.